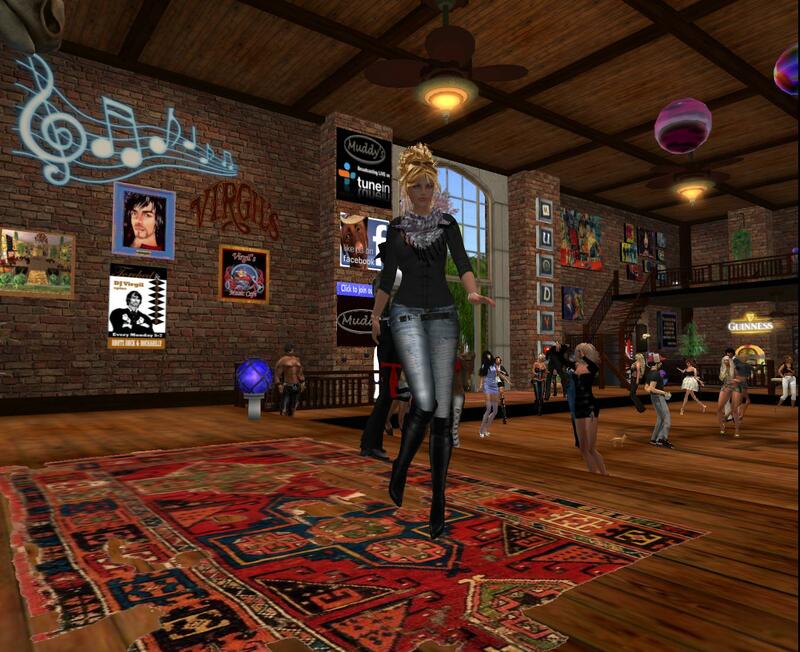 Now leap forward 30 years into the virtual reality world Second Life and teleport to Muddys (128, 104, 21). 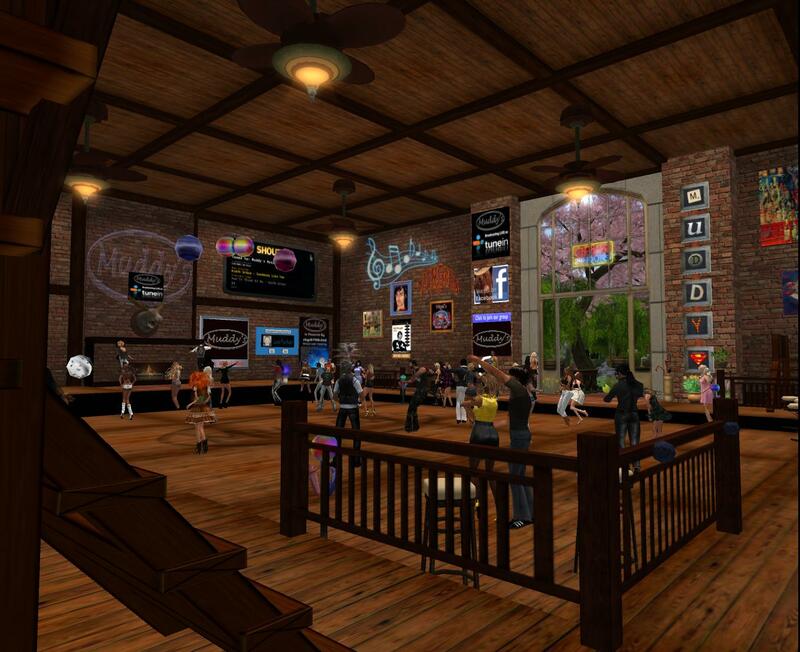 Many people travel in Second Life for the music venues and experiences and Muddy’s probably is the most wholesome of all of them. It offers entertainment for people of all ages in a mellow environment. The club is extraordinarily well built. 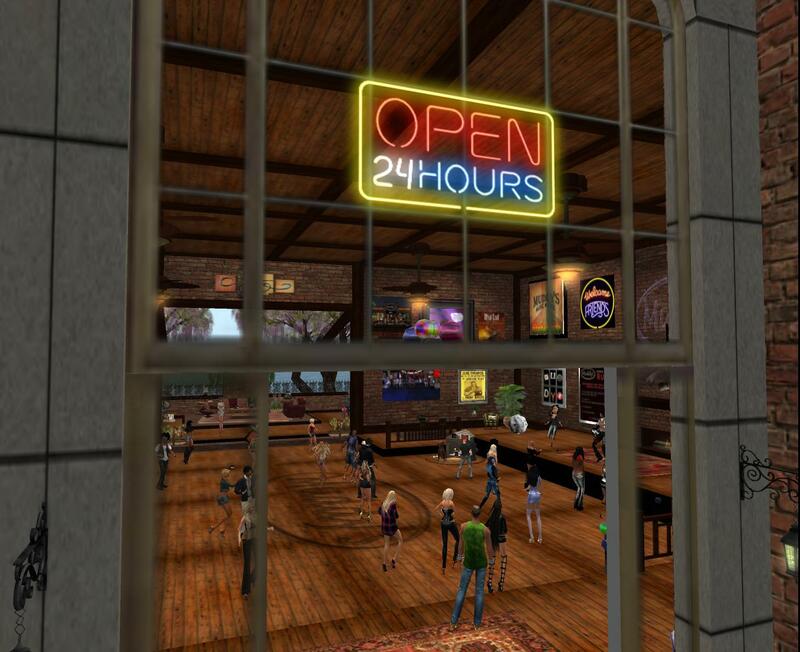 It operates around the clock, 24/7, as a PG music cafe offering the best rock from many genres, blues, jazz, and country music. PG means the music is clean and you have to wear clothes. Muddy’s is said to be the number one top-40 club in Second Life. The atmosphere is no drama and lots of friendliness. Like Cheers in the 1980s, friends have kept this club alive for years in the 2000s by creating a family atmosphere. Newcomers are welcomed heartily. There actually are some 5,000 family members. It is a huge extended family of people who love the place and go there as often as their real lives permit. It’s one of the most friendly and fun clubs on the grid. The DJs and hosts are live and dancing is what everyone does at Muddy’s. It’s a continuous party. Muddy’s DJs are a talented mix of folks from the U.S., U.K., Australia, and other countries of Europe. This is a place with real live people. The DJs and hosts talk to the crowd, of course, but it’s great fun to listen to the conversation among all of the dancers. They talk about whatever they wish, from the weather to politics to money and the environment. Many come just to hang out and listen to the music. They sometimes go AFK (away from the keyboard) doing other other things while enjoying the tunes. 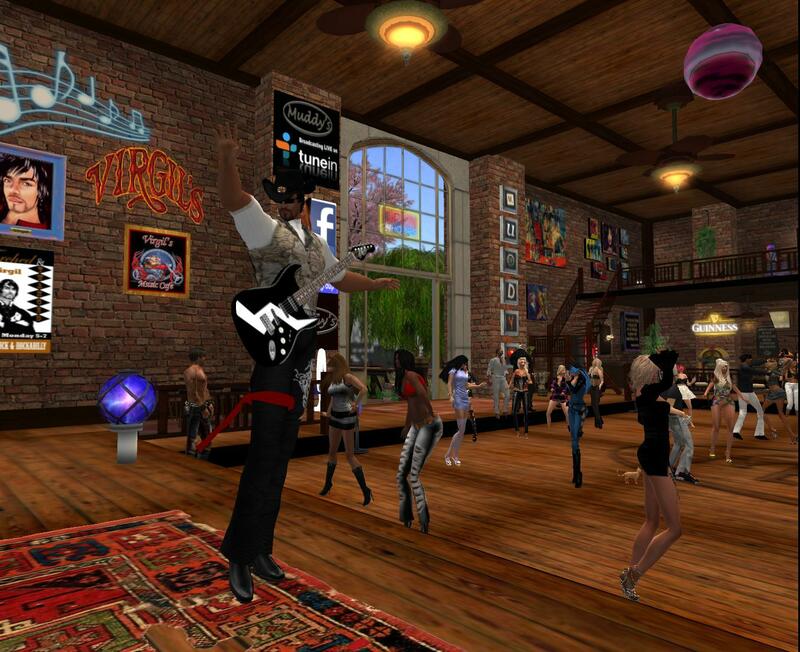 Muddy’s is simply a nice relaxed place to enjoy music and dance. 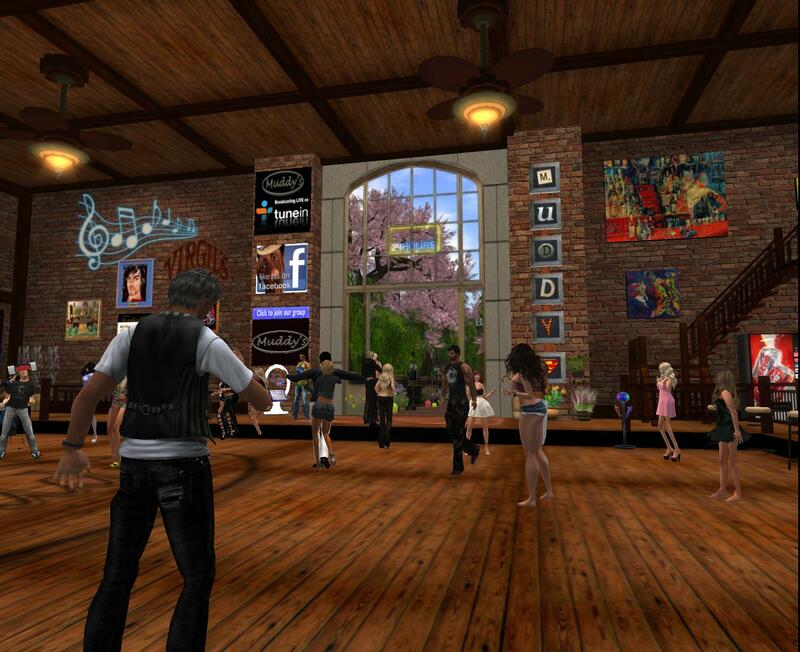 Visit Muddy’s Music Cafe in-world at this SLURL. 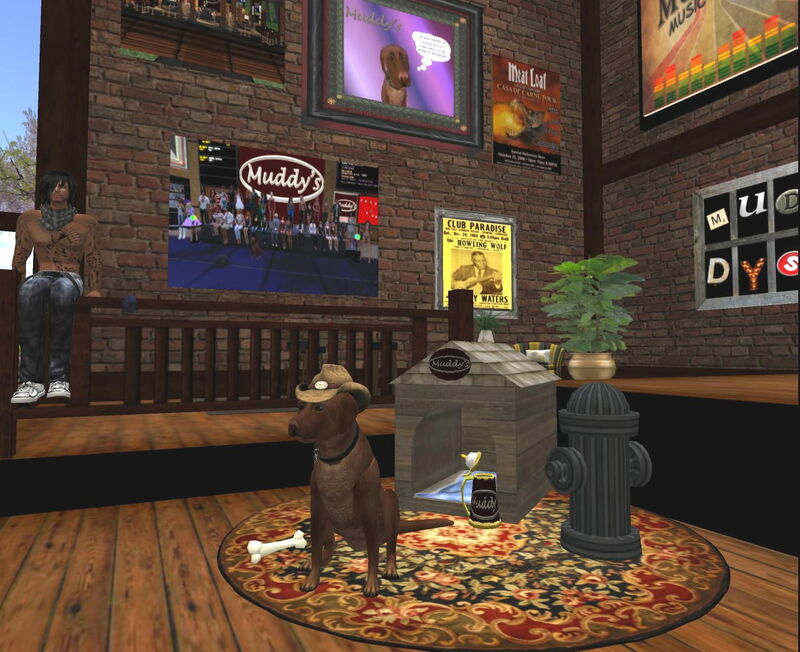 You don’t have to log into Second Life to hear Muddy’s music. The club offers an Internet live stream via TuneIn Radio. There’s a video on YouTube. Photo gallery: Click any image to enlarge. Photos of Muddy’s by others: The Beauty of Second Life blog. This entry was posted on Sunday, June 15th, 2014 at 7:12 am and is filed under * Blogroll, * Second Life News, culture, dancing, economics, education, exploration, literature, media, music, new media, public life, Radio, Second Life, SecondLife, SL, society, travel, Uncategorized, virtual world. You can follow any responses to this entry through the RSS 2.0 feed. You can leave a response, or trackback from your own site.